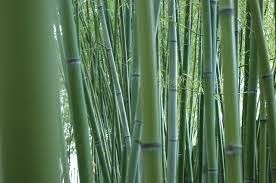 Bambu or bamboo (asparagua cochinchinenesis (Lour.) Merr.). Pharmacological Effects: In traditional Chinese medicine and other properties of these plants have mentioned - The taste of sweet, bitter, cold. Sign meridian lung and kidney, nourish Yin, clean the lungs and reduce the heat of fire, stimulates the production of body fluids, anti-toxic, anti-neoplastic and anti-pyretic. Chemical properties: Saponins, aglycone, protosarsapogenin, asaparagine, glucose, fructose, 5-methoxy-Methylfurfural, beta-sitosterol. Plant part used: dried tubers. Using tubers or seeds, maintenance is easy enough to maintain soil moisture and fertilizer base and enough sunlight. As a medicinal plant then the plant should not be sprayed with pesticides. Tuberculosis Lung and Blood cough and sore throat: 6-12 grams of dried tubers boiled water to 1 1.5 cup, warm drink 2x a day.